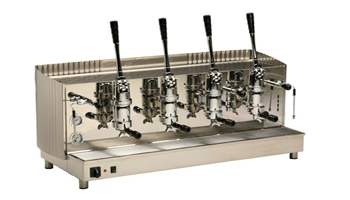 The Fiorenzato Piazza San Marco is an espresso machine with undoubted charisma. 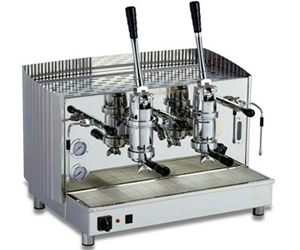 This is an espresso machine you can visualise resting on a counter in a Neopolitan coffee bar. It has a typical Italian feel and such distinctive style that blend together to create an air of curiosity. As soon as you lay your eyes on this striking piece of equipment you want to see it in action. The Piazza San Marco does not have a fancy electronic control system, an online management device or digital organiser. But then that of course would go against everything traditional Italian espresso making stands for. Named after the iconic symbol of Venice, the Fiorenzato Piazza San Marco combines the original designs of the late 1940's with materials and expertise from the 21st century, the result is a machine that has great visual impatc, lends itself to the theatre of coffee making and produces excellent espresso based drinks. The Piazza San Marco is available as a 1, 2, 3 or 4 Group machine and all models have retro styling.